Mondrian, Rietveld, Theosophy.. wait, what??? 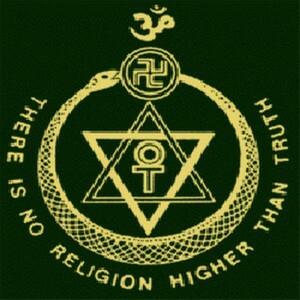 Have you ever heard about theosophy? 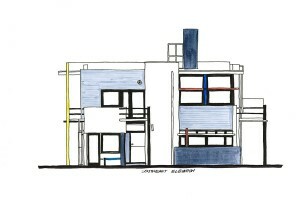 We didn’t either, but check out this article because then you’ll know how it influenced Mondrian and Rietveld’s work. Theosophy– what does this even mean? It is a unity of Religion, Science, and Philosophy that combines a variety of belief systems in its search for an underlying universal harmony. Basically, it is everything, therefore you have to be very focused to understand what specific ideas it defends and how is this shown or practiced in art and life in general. It is also a doctrine of religious philosophy and mysticism (so it isn’t a religion itself), but holds that all religions contain elements of truth. Theosophical writers hold that there is a deeper spiritual reality and that direct contact with that reality can be established through intuition, meditation, revelation, or some other state transcending normal human consciousness. Theosophy has influenced many artists among whom were Wassily Kandinsky, Piet Mondrian, Gauguin, Malevich, Gerrit Rietveld (and some others from De Stijl movement) and Pollock too. This beliefs played a crucial role in the work of this artists, whose works were seemed to search for the understanding of spirituality. All in all, theosophy seeks to integrate perception and thought, the natural world and the spiritual work, science and religion. 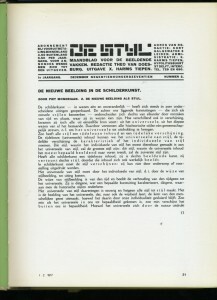 De Stijl magazine was publishing the group’s design work combined with theoretical writings which also contained mysticism. Members were deeply influenced by theosophy which was also an important part of Bauhaus. You can see that in the way they rejected any form of naturalism in favour of a formal abstraction that connected the movement with Russian Constructivism. 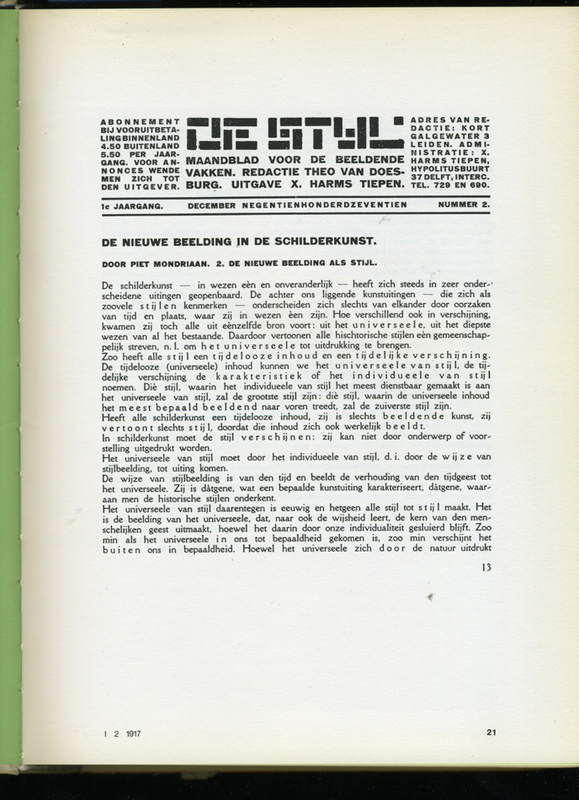 De Stijl group wanted to create a new kind of art, architecture and design in order to raise a disillusioned humanity from the horrors caused by World War 1 and as many artists throughout Europe, they attempted to liberate the arts from tradition. They wanted to change art from individual to ultimate, universal. 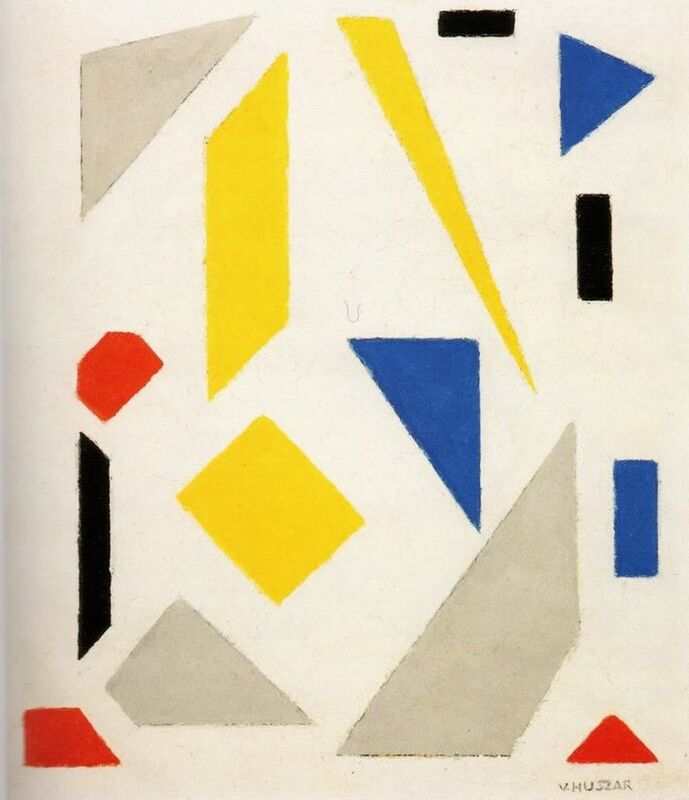 Their vision was based on deconstructivism – reducing the universe to fundamental elements and forms – the vertical and horizontal lines became the symbols of universal harmony, to which were added primary colours red, blue and yellow along with black, white and gray (considered non-colours). 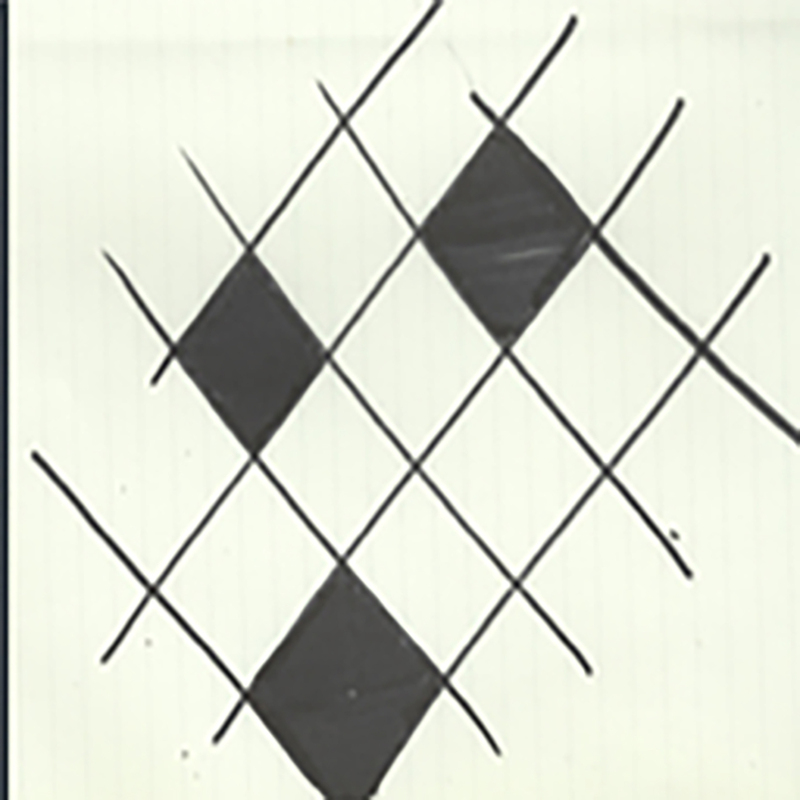 Even if you don’t understand the deeper meaning of theosophy, these are the things you can recognize in artworks of De Stijl movement. 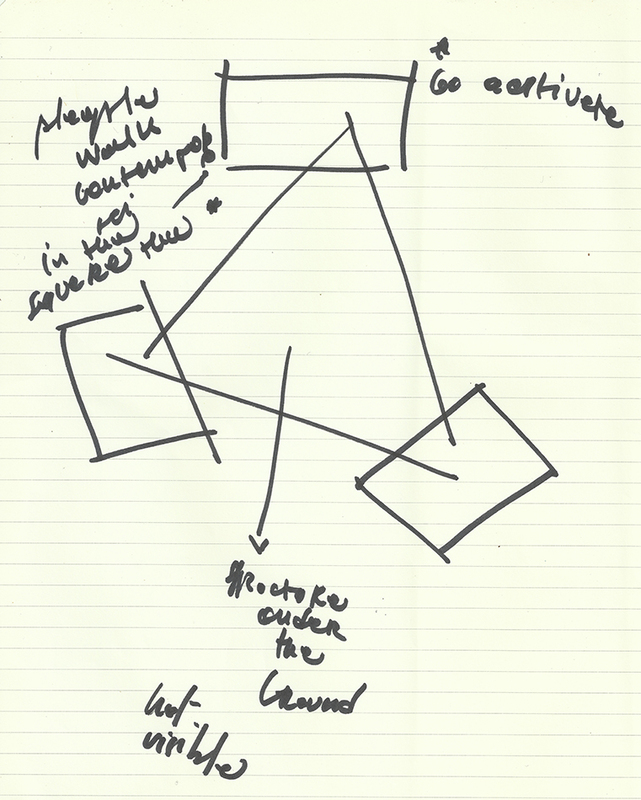 Anyways, members were aiming towards geometrical and technical art which would be an experience as a whole. They were trying to give art a spirit of forms and mystification. 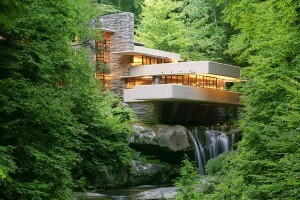 What was important for them was purity in architecture, the absence of organic and personal forms. 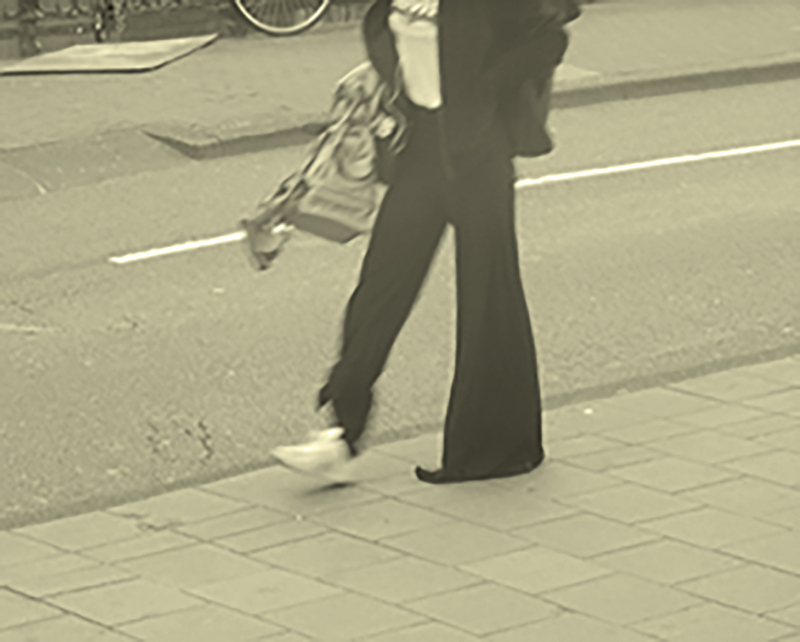 Like theosophists, members of De Stijl believed in the presence of deeper spiritual reality, whereas a direct contact is established through a state transcending normal human consciousness. They brought a sense of material, intellectual and spiritual unity to art, architecture and design. Mondrian intensified gradually his expressive manner of painting and began to have a more and more intensive use of colours, that eventually lead him to the need to depict the visible aspects of reality. From 1908, Mondrian began to work in search for a truly form of painting. The artist came to the conclusion that the pure, intense, inner colours (the primary colours) and a simple manifestation of the line (horizontal and vertical) could help reach an abstract form of art that would be suitable to the spirit of the new modern age. 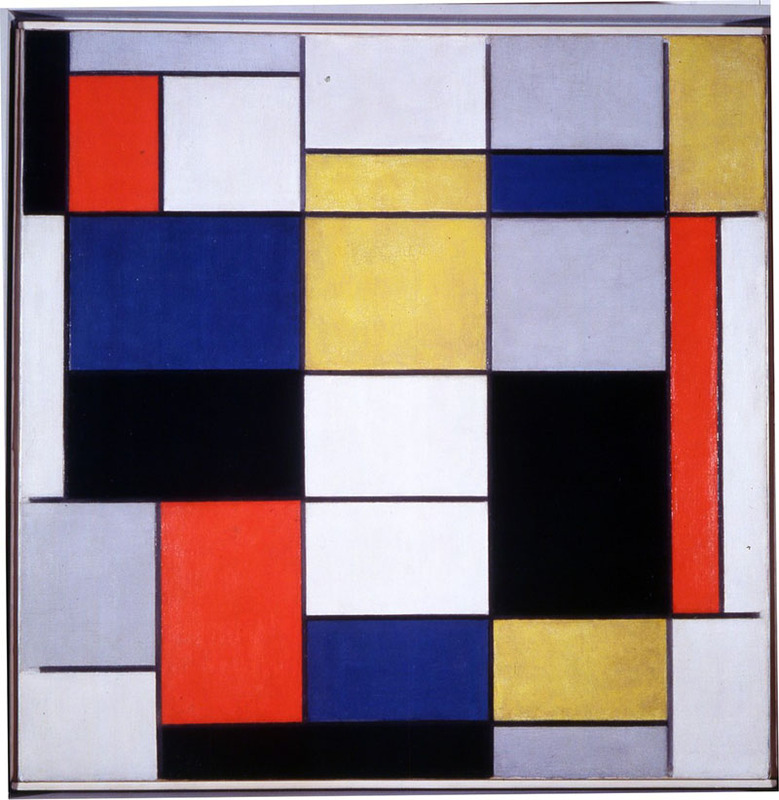 In 1917, Mondrian and Theo van Doesburg founded the group De Stijl. 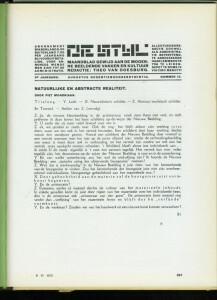 Mondrian used this magazine as a vehicle for his ideas on art, and it was actually in the magazine where he defined his aims and the term Neoplasticism. Though Mondrian established his only visual manifestation/painting style: Neoplasticism, based on philosophical and moral considerations associated with theosophy, this name was also applied not only for his work, but also for the art that the De Stijl circle practised in the different areas. 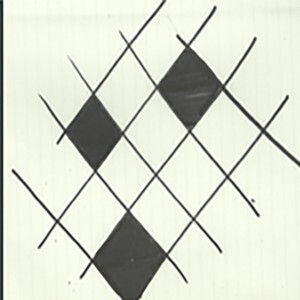 The intention would be to use the form and line to reduce the visible reality to its essence. So, in Neoplasticism, all the abstraction is connected with the reality. The elements are displaced from their visible form, but reflected in an abstract dimension. Mondrian uses the basic elements of painting: line, form and colour in their purest, most fundamental state, creating compositions with different lines and planes, verticals and horizontals, neutral and primary colours in a universal visual language that everyone could understand intuitively. 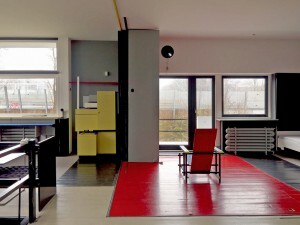 Two years later, the architect- designer Gerrit Rietveld joined De Stijl, which had a significant impact on the Neo-plasticists’ ideas and production. 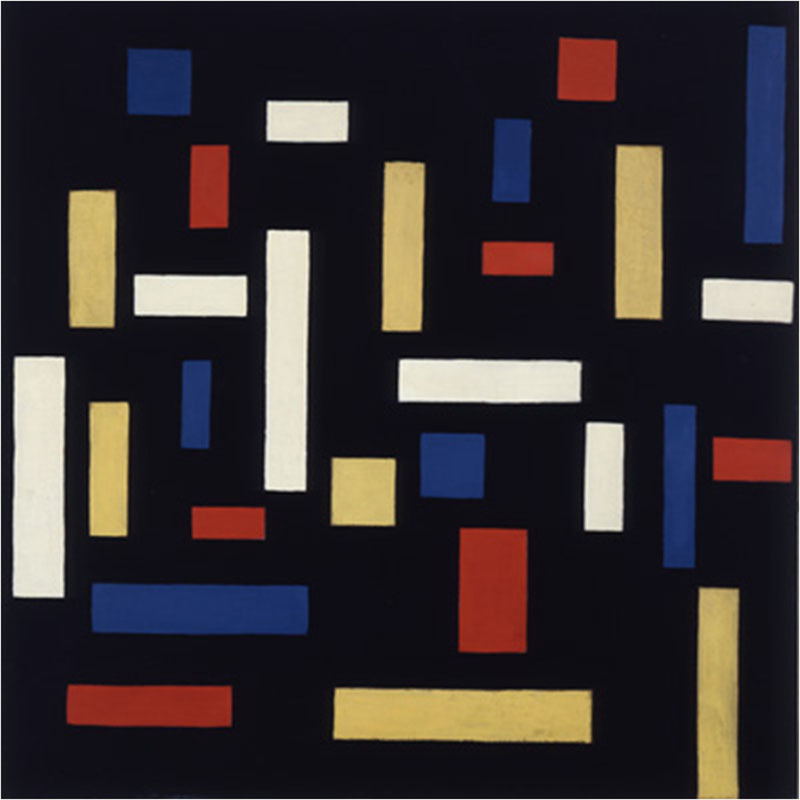 Influenced by theosophy’s ideas, Mondrian reduces all elements to straight lines that cross and form various sized squares and rectangles and restricts the palette to pure neutral primary colors and black, white and grey. This was his proposal to represent the universal order, rather than the physical meaningless world. How is Neoplasticism connected with theosophy? Piet Mondrian was raised in the protestant church and later on, in 1909, joined the Dutch Theosophical Society, which was one of the main spiritual movements in the Western society at the end of the 19th century. This Society was founded in the United States but quickly spread throughout Europe and had an immediate influence on art, particularly in the Netherlands. In fact this influence was so visible that forty Dutch artists participated in the exposition organized in 1904 in Amsterdam for the Theosophical Society’s International Convention. From this time on, theosophy was to be a major influence in life and work of Mondrian. 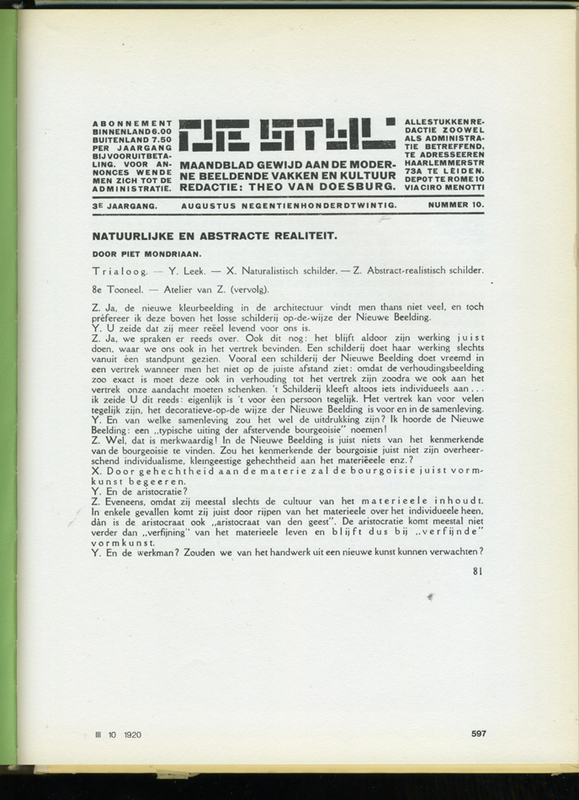 In the journal De Stijl [x], Mondrian published some articles about the influence of Theosophy. In this articles, the artist analyzes the role of traditional art that he considers as a consequence of the lack of harmony inside of man (conflict between matter and spirit) and the imbalance between man and nature. For Mondrian, theosophy was the answer to this imbalance. Theosophy principles could, in his ideas, bring consciousness of the self, and as a result, bring the harmony in this relations. For him, when the consciousness of individuality or, in other words, the concept of spirit emerges, two conflicts emerge with it. The first one would be the conflict between this individual spirit and his physical body. 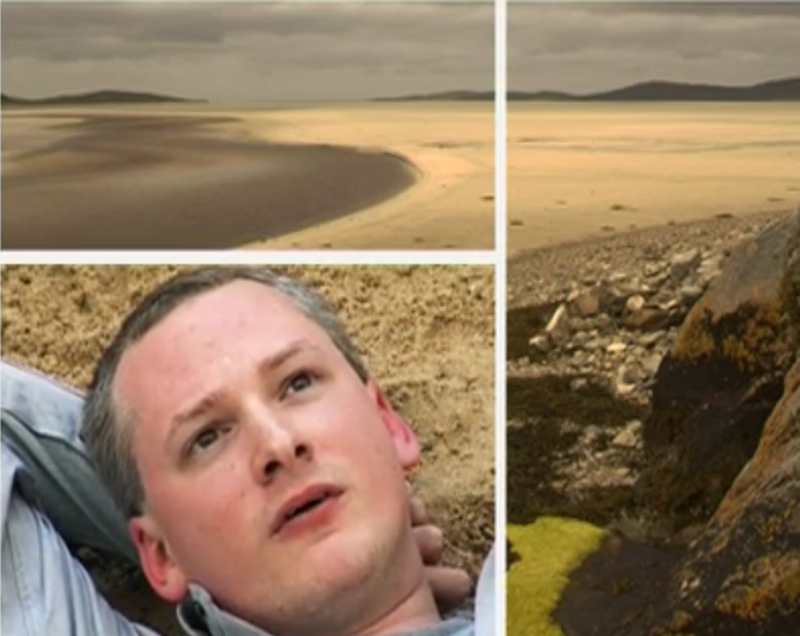 The second one, as a consequence of the first one, is a confrontation between man and nature, generating a ‘disharmony between man and his surrounding,’ or simply ‘the tragic in life’ as the artist considered. In this way, we can consider that Neoplastic art arises from the same principal as traditional art does- from the perception of an imbalance inside of man. 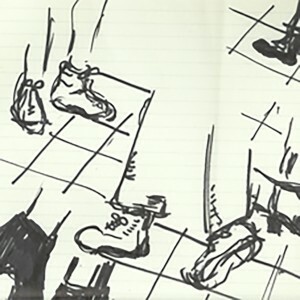 However, Neoplastic art tries to represent an absolute truth directly: the idea that if the artist represents it, is because he knows it, and not just some partial and accidental truth as traditional art seems to do it. The aim of Neoplastic art is the representation of the absolute, almost like religion. By reaching this goal, he would be able to help the common man finding his inner balance. How? Modifying the external world to another one capable of bringing some inward balance: by transforming the surrounding environment, he would transform the man itself, and consequentially the society. Neoplastic art’s objective is to restore in man a balance with his environment, lost when man gains consciousness of his own individuality. Neoplastic art should be dissolved and fused into and with life. 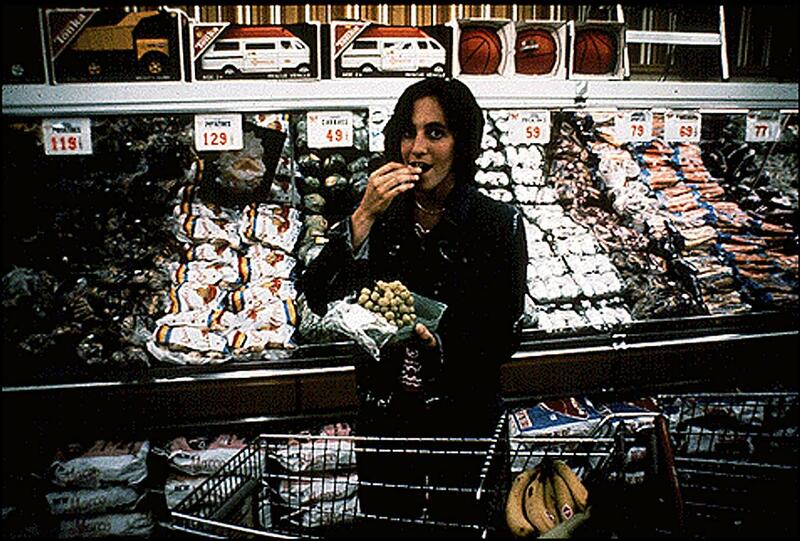 For the artist himself, neoplastic art shouldn’t be limited to painting but rather extends to architecture and urbanism, and in this way make a real change in the environments. Mondrian considered that each artistic disciplines should perform a specific role, and together they should reflect the common harmony of the universe. Therefore, for Mondrian, painting’s task would be to act as the guide for the rest of the other disciplines and eventually be dissolved, if the task is successful, into architecture, urbanism, life. We can consider that theosophical beliefs are expressed in Mondrian’s neoplastic work, both, theoretically and concretely, in a constant demand for a true theosophical art. Art is, in this way, a reflection of the absolute, “the Radiating Center” (as Theosophy calls it), which is the original force, creator of everything (idea that nature and spirit are manifestations of the same original whole: universal/cosmic order). The artist, thereby, is the “translator” of a higher reality, and his works must repeat the representation of this “Radiating Center”. Art should reproduce the conflict between opposing elements and the solution for that same conflict. The image of harmony cannot be static, but represented by multiple dialectics: two levels of elements, among which, simultaneous oppositions are produced (line/plane, vertical/horizontal, female/male, color/colorless…) The universal force/cosmic order/ the harmony, is so expressed in the duality between this contrasts. While searching fot the harmony between opposites, Mondrian aims to help common man access his own inner harmony. By transforming the entire natural environment, the artist would establish the balance and reflect the image of the common origin of all creation: of the absolute. In this balanced environment, the common man can reach his inner equilibrium. He was born in Utrecht in 1888. His father was a cabinet maker and when just a little child, Rietveld joined the family workshop. His apprenticeship was steeped in the traditions of the Arts and Crafts movement which can be seen in his early work (first attempts of furniture design). 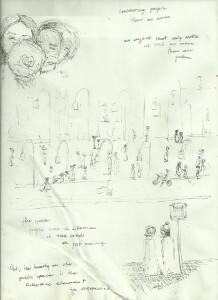 In 1911 he opened his first shop in Utrecht and started studying architecture. 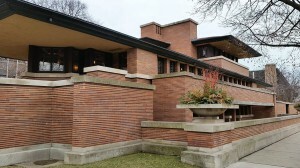 As many others, he was influenced by Frank Lloyd Wright’s architecture. By 1919 he became a member of De Stijl and became friends with its members Huszar, Theo van Doesburg, Robert van t’Hoff and others. Theosophy played a major role in Mondrian’s art, but since Rietveld was a member of De Stijl too (although he never actually met Mondrian), we can also see the influences of the proclaimed philosophical ideas in his work. In De Stijl architecture and design, Cubism was again influential but so also were Frank Lloyd Wright’s Prairie House designs, with their asymmetric free-flow of interior and exterior spaces. 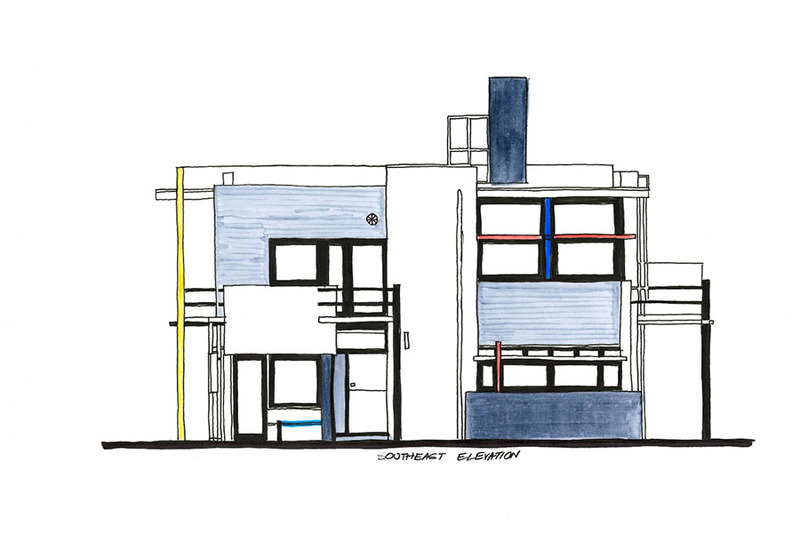 Despite all that, Rietveld’s ideas were more down to earth and less philosophical that the ones of Mondrian and Doesburg. He didn’t speak frequently about his work. 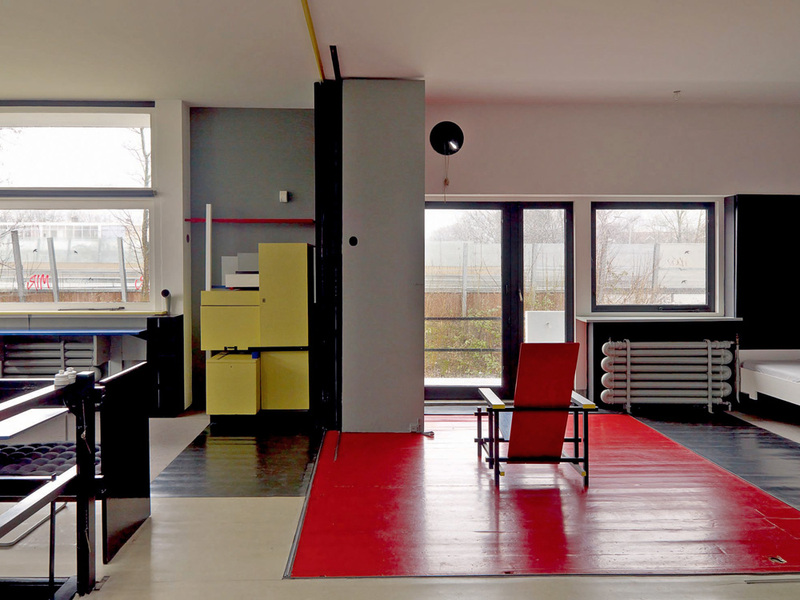 Therefore the interpretation of it is based on the more philosophical tenets of the other De Stijl artists (members were very different considering a way of thinking) and it sometimes seems as if the designer’s voice may have been overshadowed. 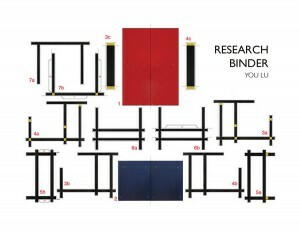 Rietveld’s painted Red/Blue chair became the archetype of the movement, it was also the first time that the De Stijl colours, usually used 2D, (on Mondrian and van Doesburg’s paintings) were applied to a three-dimensional object. 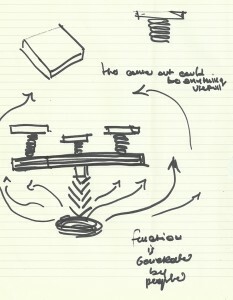 It was the first major piece of furniture to accord with the movement’s principles – conceived as a spatial composition, conspicuously disregarding comfort, traditional construction techniques and concepts of decoration (built on a series of horizontal and vertical planes, provides a clear expression of the group’s ideas). 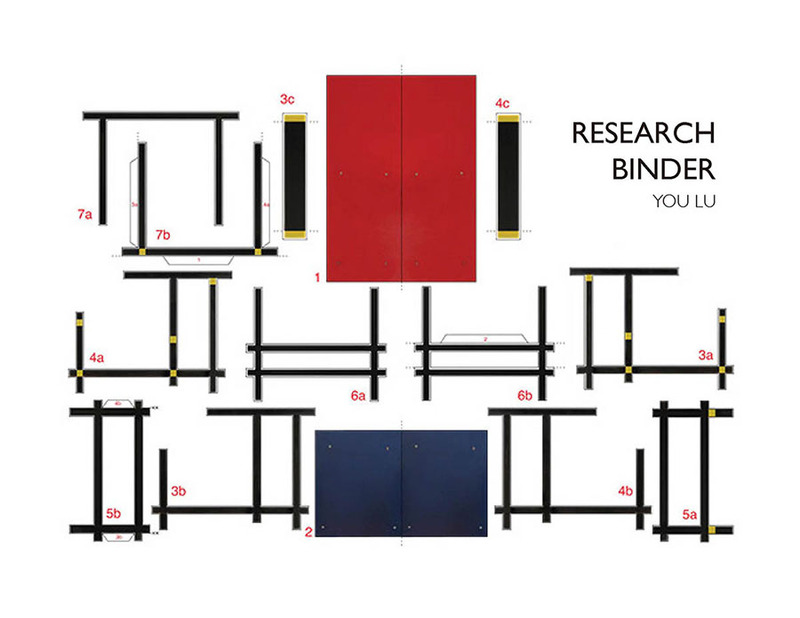 With the Schroder’s house Rietveld created a totally original vocabulary in building construction and in the treatment of interior living space. The complex, asymmetric cubic construction of horizontal and vertical planes and lines encloses and releases space in a three-dimensional equivalent of a Mondrian painting. Linear elements are red, blue, yellow or black; surfaces white or grey. A major effect on Rietveld was also Frank Lloyd Wright’s work who was a functionalist and a part of an International style. The most influential details from his work were the flow he produced between interior and exterior and also the use of verticals and horizontals. You can also see that in Rietveld’s last work, Gerrit Rietveld Academie where glass surfaces are made in a way you can see through the building, therefore it merges with surrounding nature. While quickly recognized as a major contributor to the development of Modernist architecture, interior and furniture design, Rietveld’s later work was largely confined to furniture design. Most known examples are his tubular steel and wood Beugelstoel chair, wooden Zig-Zag chair and wooden Crate chair. Among his other design work was the Netherlands pavilion for the 1954 Venice Biennale and a sculpture pavilion in Arnhem, Holland, built in 1955. 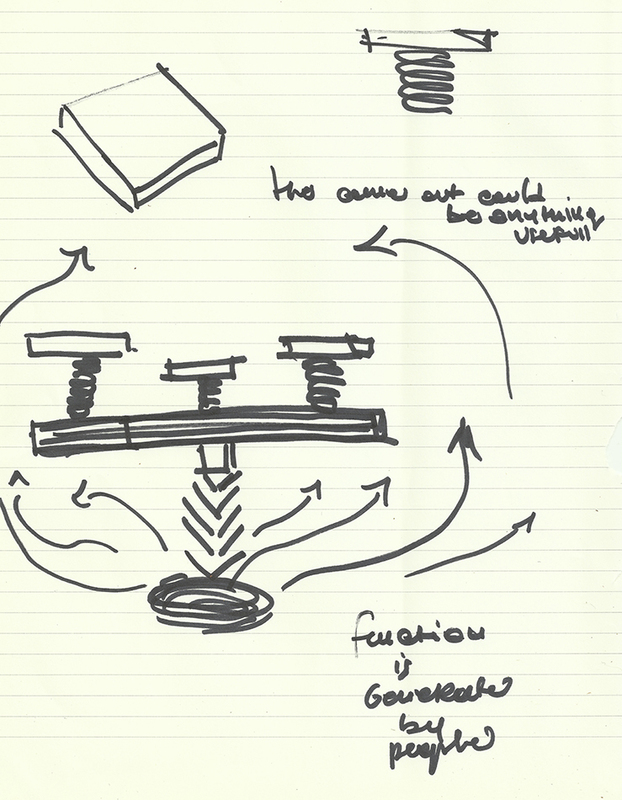 His furniture was designed for a mass production to be available to a large audience, even though at the end is wasn’t mass produced nor standardized – no two versions had the same dimensions. It’s interesting how the abstraction of Mondrian and Rietveld’s work seems to be so far from theosophical ideas – when you see the chair or a painting you don’t make an instant connection. Now you know. Awesome, isn’t it? When we have an appointment ahead of us there is all kind of preparation, there is a planning, and there is a lot of expectations. On the other hand the beauty of having an appointment with someone that you do not know, I have to admit, is in the fact that just a little of what you have planned or imagined will happen. The most important thing the public space means to me is when it allows you meeting something or someone unknown. When we are surprised, it will add to our life an emotion of discovering, and participating. Meeting someone or something that you do not expect, something that you have not seen before. Where does this encounter leave to you? Many people feel alone in a city, and are living an unpleasant and isolate life. Why? There are probably several reasons: is it because there are so many impressions that a modern city offers to us and make us feel lost? Or is it because the individualist way of living, where everything is centered on what one wants for her/himself, making people isolate from each other? 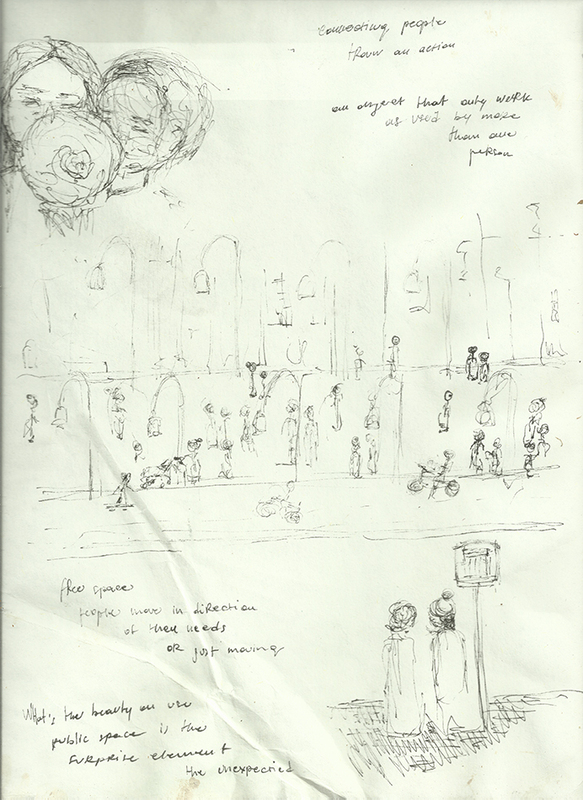 I want to participate in creating the feeling that we are creating and using the public space. That means that we ourselves are the ones who can make this space as we want. I start asking my self what and how I want the space I use and I share with the others? I would like to create something that could connect people through the action. A kind of action that we are used doing in every day life. I started by analyzing mistakes or things that I dislike – or in other words those that I was looking for …. First mistake would be to design something for people without observing what people do or want. I want something that connect people who don’t know each other. 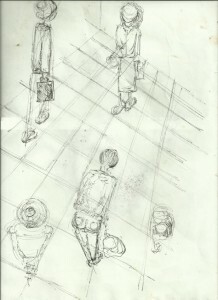 Some one asking to a stranger to help him to sit, for instance? I reached the conclusion that you can not force someboy to do what you want but you must follow the organic situation that is present and that is important to put the subjects in question at the same level to each others. I went far from the image of an object and I finally started by giving the importance to the fact that “If the actions are what unify people, what about if the actions are the one that tricker something?” so instead of the people having to go and do something to make that happen, it will focus on what they are already doing that will create an external factor. A factor that could be an emotion but could also be an aid. I started to imagine it in a more playful circumstance. My elements became the sidewalk floor, and the walking the triggering factor. As I said before there is no better meeting than with a stranger. I wanted to refer to people who don’t know each other… My project consists in a non platform. This platform will be positioned under the tiles that form the sidewalk and connect only with the three of them. 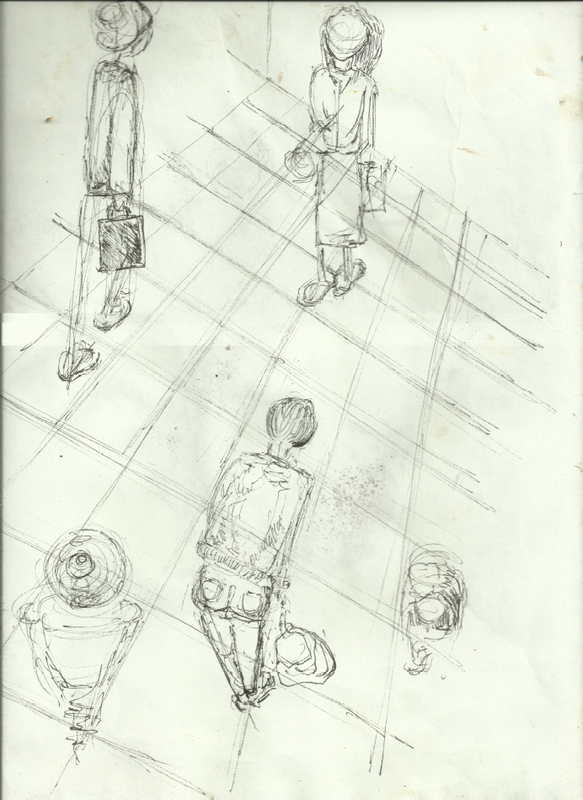 I imagine the Amsterdam Central Station as a starting point, because it is a place were many people from different backgrounds and identities are passing and walking. While people are walking, tree people are activating a system that generates something. 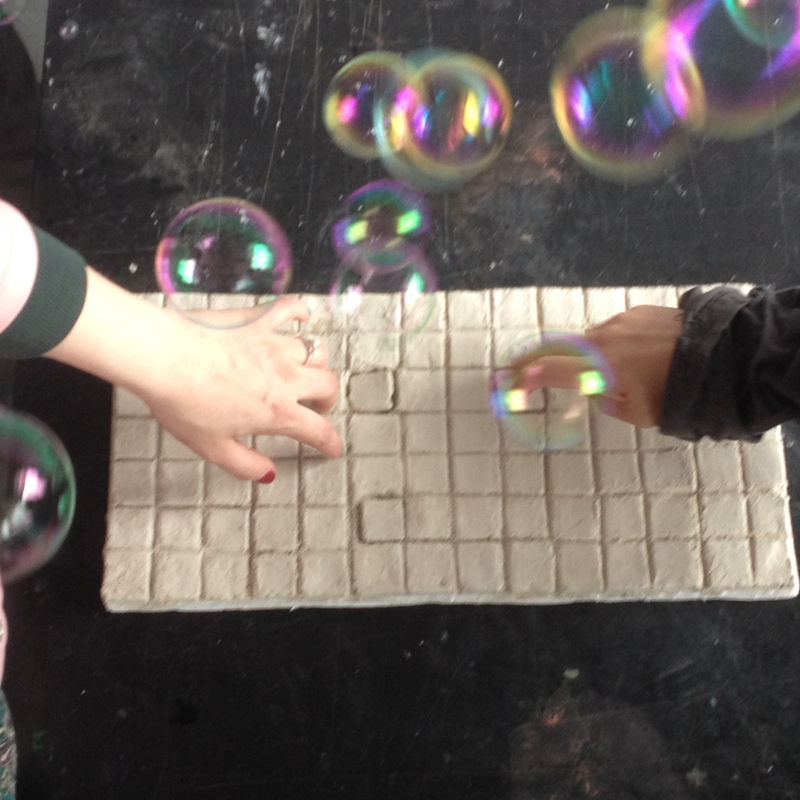 The soap bubble represents a good element for this situation, because it is an element that does not intimidate, and more important does not need to be cleaned up. 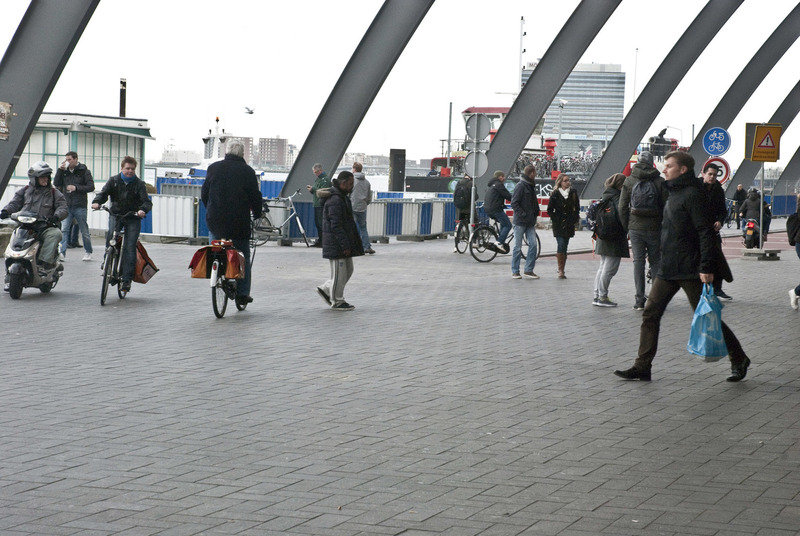 The element could vary from different situation to different environment: for example if tree people are waiting for the bus and they are standing on the tiles. The tiles can pull out an umbrella for example that protects you from the rain or the sun. This means it can be open to us for many different choices but the goal will remain the same. I want to give a special thank to Jesse Jorg who inspired me in this project. Juli Gudehus is an active German graphic Designer born in 1968. In her book Genesis she made the translations of the Genesis from the Christian Bible or the Torah in English, French, German, Italian, Spanish and in a more interesting way, in Pictograms. Pictograms exist since cave art; they give information by a figurative drawing. It’s a common language that everybody can normally understand. So this book is really about communication and most of all about universal communication. However, there is a lot of irony in it because the genesis also talks about the Babylon tower or how the humans where divided by god by confounded the language. The book which dignify the actions of god try to neutralize the consequences of his action. This interesting paradox guide me to different universal languages. I will sum up with all these short discoveries. First of all Esperanto, it’s an international language talk in 120 different countries. This Utopian idea was born around 1870 from Ludwig Lejzer Zamenhof. Its purpose is to be a second language and a bridge between cultures. This language avoids the risk of loosing cultural identities. The sign language is another universal language which appeared around the fifth century BC. It’s a body language and manual communication uses at first to exchange information between deaf and mute people. 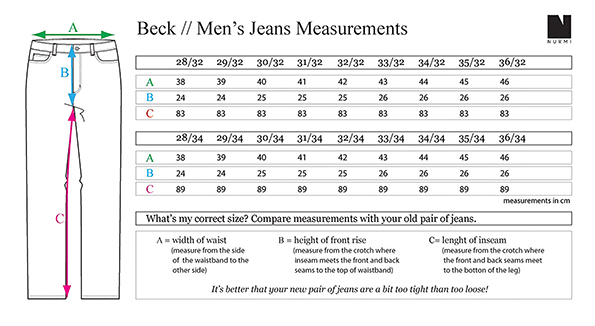 Later it extends in basics exchanges in everyday life. 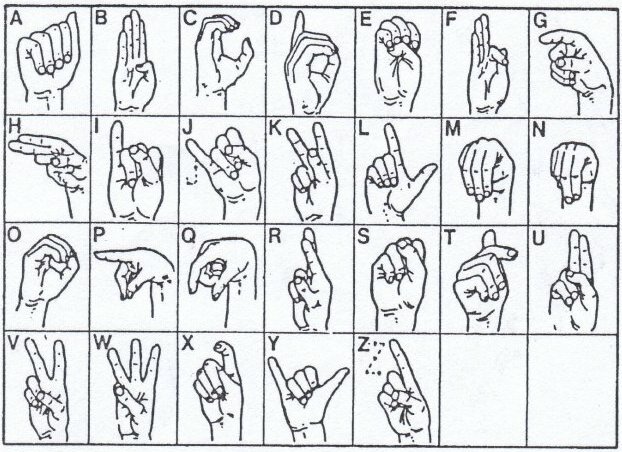 The need to standardize an international sign system was discussed at the first World Deaf Congress in 1951, when the WFD was formed. In 1973 they published a standardized universal vocabulary. After the oral language and the body language the writing language of mathematics was constructed. First of all, you need to know that in each language the words have two components: the “signified”(abstract idea of language) and the “meaning”(concrete form of language). It’s a part of why languages are more difficult to assimilate. However, mathematics only use the “meaning” of the language and its why ambiguity can’t happen. Without these ambiguity mathematics looks like the more clear way of communication. Moreover, you can find mathematics everywhere in our human world: for example it rules the perfect way honeycomb is build or what we are wearing or eating today. And because it constructs our world it must be the universal language of this planet. But after all maybe mathematics is only a projection of humans on their environment. That is why I finally focus my investigations to the extraterrestrial communication or how human trying to communicate with something unknown. I continued this research on the hypothesis that this inter galactic language must be mathematics. In 1974, the mission Pioneer 10 send the message Arecibo some 25 000 light year away. It was a binary message write by Frank Drake an American astronomer and astrophysicist. The binary system represents numeric values using two different symbols: typically 0 (zero) and 1 (one). Binary is what rules our digital world today and used by almost all computers and phones. 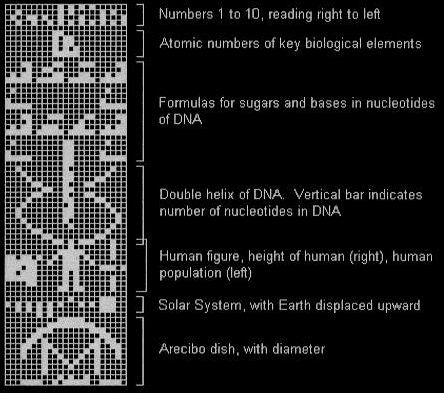 The final picture of the message give information about the Earth and Humans: numbers,atomic composition of our principals components(as hydrogen or carbon), how our DNA structure looks like, how humans looks like , how tall we are, how many we are and where in the galaxy. Because of this long message distance we didn’t receive an answer yet and there is not a big probability to get one. In fact this operation was more about showing the capabilities of human technologies. Here is a link to sent your personal binary message. Another attempt took place in 1977. Two Voyagers spacecraft took aboard a gold phonograph record disc with 110 pictures of Earth and human life and 1 hour and 30 minutes of sounds and musics. A diagram on the record explained how to use it, partly written in binary arithmetic. The purpose is the same as a message bottle in the ocean but its goal is not anymore to communicate with an extraterrestrial life, it is also a time capsule for the future human generation. Cosmic connection is the first TV message for extra terrestrial life. The message is transmitted from Toulouse (France) the 30 September of 2006 during the evening to the star Errai of the constellation Céphée and also on TV. The star is 45 light year from the Earth so we will maybe have an answer on 2096. The originality of the program is that the televiewers could send their own message out of the galaxy. These messages were shown in the same time as the TV show which was about the evolution of extraterrestrial idea from our society. But more than sending a message, this event was about sharing the thoughts of humans on extraterrestrial life. As all these messages tried to communicate with the outer world, they try to communicate with somebody or something with a capacity of understanding equal or more superior and of course similar with human. If an extraterrestrial life is not build on a mathematical logic, they may have some difficulties to receive and decipher our binary messages. But the hope to unite the nations under a same language is still present: even if the utopian and minor languages such as Esperanto, sign language and mathematics are not becoming complete universal languages. More than 1.8 billion people can more or less speak English. After decades of migrations and globalization, this language is probably the future of the universal language. Even before mathematics.